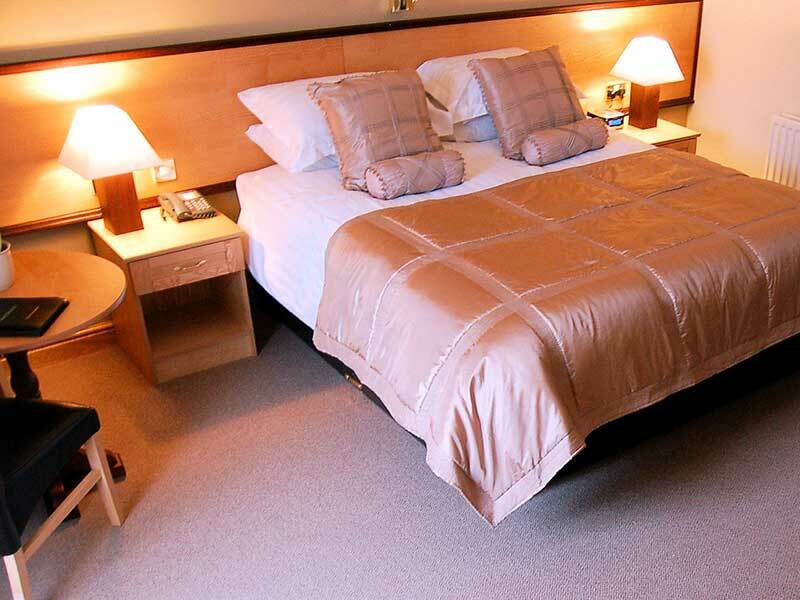 Whether you need accommodation for an overnight stay, you are looking for a short weekend break or planning a longer holiday, we offer a range of bedroom types that will suit a broad range of needs. 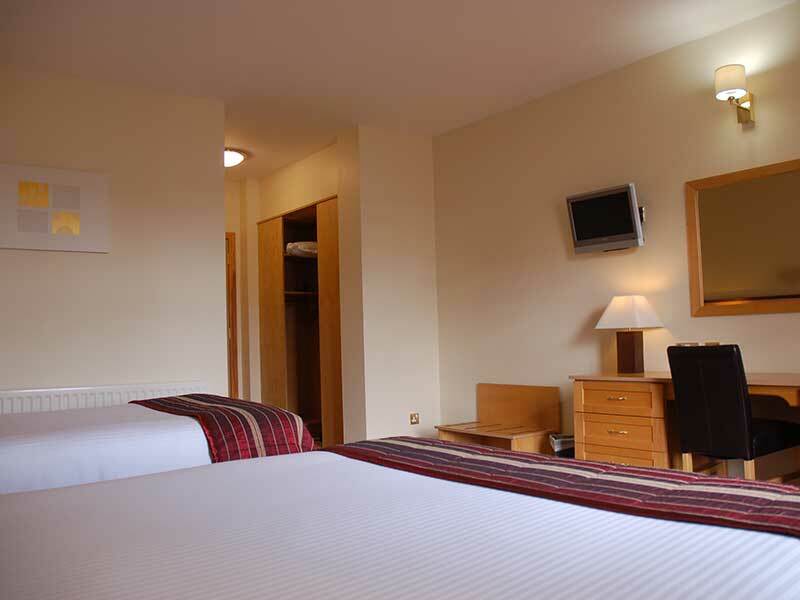 All our bedrooms are spacious, comfortable and set in quiet surroundings on the outskirts of Portrush. 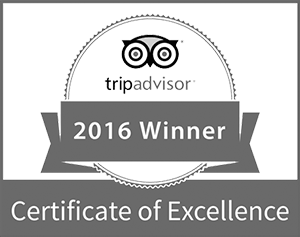 Our accommodation wing comprises three floors and is serviced by a passenger lift. Some of our rooms have garden views, others panoramic views over the town of Portrush. 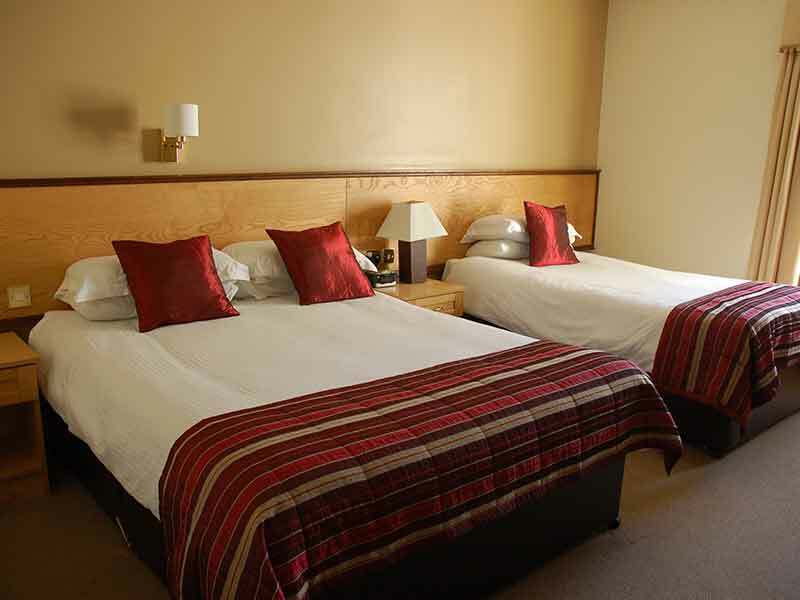 If you book direct with the Hotel we will try to allocate a bedroom according to your personal preferences. 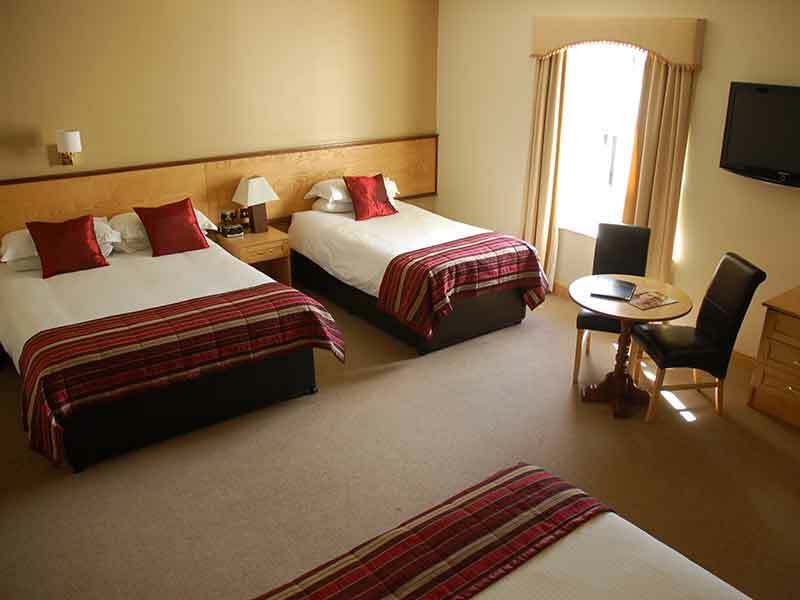 Our Classic Bedroom provides accommodation for a spacious and comfortable stay here on the Causeway Coast. The Superior provides our guests with a larger, pocket-sprung mattress, king-sized bed and incredible panoramic views over Portrush. Our spacious Family Bedrooms are capable of sleeping up to five in the one room. For guests with mobility impairments or special requirements our Accessible Bedrooms provide comfort and ease of access to ensure a relaxing stay.